Last week Sharn set a challenge via Facebook to list the ten books that have influenced our lives. Mum was an avid reader. So I guess it was quite natural that she would encourage me to read and generally love the whole book experience. I ponder ed on my ten books. Was this ten going to reflect my childhood reading? 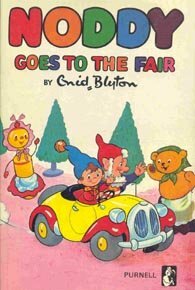 Enid Blyton books – tales of Noddy and Big Ears written in the days before political correctness went wild. I still have those early Noddy books, with price tickets and shop names of yesteryear. I recall days of wonder of Nancy Drew, The famous Five. Happy memories of visits to the library and being allowed to choose a book every week or so. In later life, when I was told off for grunting as I apparently did in response to questions that were asked when I was reading. I would always say, well you only have yourself to blame, Mum. She would always smile and similarly I would carry on grunting a response! So, this list is going to reflect the ten books that are my favourites and whilst I miss Mum every day, I especially miss the random book discussions we would have. Including the frequent offer of a replace copy of my first listed book – sometimes the copy holds the memories too in addition to the story. 84 Charring Cross Road by Helene Hanff. I recall reading this book and once finished launched into a Helene Hanff readathon, devouring a books one after the other. Mum asked me what it was that appealed t o me and I really didn’t know. Mum tried reading this book and it wasn’t for her, which kind of saddened me a bit, but such is life! Apple of My Eye by Helene Hanff. In 1976, Helene Hanff was tasked with writing a book on New York. She lived in Manhattan, and as she cast her mind back and thought of the places tourists visit she realised that she had never been to any of them. She enlisted her friend Patsy to accompany her on her travels. The book is not a travel book. It is the view of a City from the view of a resident. She discusses the controversy over the building of the World Trade Centre. I read the book after 2001. Animal Farm by George Orwell I was about 14 or so when I read this book. It was one of the set books in my senior school O-Level and I remember thinking what a ridiculous b ook about animals talking. Later that week, my history O-Level class embarked on the complexities of Russia at the time of the Bolsheviks uprising. Between them, two teachers, Miss Russell and Mr Tanner threaded together the life in Russia at the time, and how that had cleverly been encapsulated by George Orwell when he wrote this book. More recently the book group I attend read this book. I re-read it again and was surprised to hear that I was the only one in the group who had read it previously. Several people didn’t understand the political tale it told. Whilst I view this as a classic, perhaps it is not so. One Day in the Life of Ivan Denisovich. The gift that my English lit teacher gave me was to stretch my reading. I read this book the summer before I took my senior exams. This is the story of life in the Russian Gulags imposed on millions of Russians by Stalin, post Second World War. For me it was a realisation that I live in a democracy. No one will round me up and in prison me for a random reason. No one from the state will force me to work or live in a regime that has very little chance of escape. It made me realise that I was experienced freedom and choice. A Room with a View by E. M. Forster. Another absolute classic and a book which I have read several time, (although not admittedly as often as a Town like Alice!) This tells the story of a young girl entrusted to her aged cousin for her grand tour of Italy before she settles down to marry. Once in Italy the pair settle into the life at the hotel they are staying for the summer . There they meet a group of interesting individuals, who form the subject for the book. The film of the book has some pretty well known actors and actresses – Dame Judy Dench, Dame Maggie Smith, Helene Bonham Carter and many others. I watched the film in according to my diary in 1987 and now am the proud owner of a blue ray to replace my exhausted video copy. The Floating Brothel by Sian Rees This book is the story of a group of women sentenced to transportation to Australia on board the Lady Juliana. There crimes, typically considered petty and undertaken more out of necessity of life or death. It shows desperate times result often in desperate measures. The Boy in the Stripped Pyjamas by John Boyne. I was recommend this book by a friend and read it within a few months of it’s release. It is set just outside of the Concentration camp, Auschwitz. It is the story of a little boy, whose father is in the German army during the Second World War, The little boy builds a friendship with the little boy in the stripped pyjamas who lives the other side of the fence. Neither little boy can understand the situation of their lives. It is simply different. One day the little boy in the pyjamas expresses to his friend that he can not find his Dad. The offer of help is given and the little boy crosses the fence to help his new friend. The consequences are dire. And Ladies of the Club by Helen Hooven Santmyer. Set in the United States in the the time span of 1868 – 1913. It follows the townspeople of a community in Ohio. We read the transformation of the people of the town , there thoughts, feelings and development. in a historical period when women were treated as possessions and men mocked the interests of their wives. A huge book, with a huge story line. What is History Teaching by Chris Husbands. A non fiction book that explores exactly what we learn from history and how we can encourage and explain to others the value it has within today’s Society. It does this by exploring history through four different methods. Explore history using evidence, explore history using language of the past, explore through story and through imagination. There are my ten, the reality was the list of favourite books was at least triple that. Each book in their own way has influenced what I read, how I interpret what the author is sharing and Mum gave me the courage to say actually I don’t like, agree, understand, and most importantly to be my own person.